When facing an unexpected pregnancy, you’re sure to feel a whole range of emotion. In my own unexpected pregnancy, I’m not sure I could even grab on to all the thoughts and feelings associated with what was going on. But, I can identify 5 emotions I believe all people feel in an unexpected pregnancy. Even though I bought the pregnancy test myself, I still sat there in the bathroom staring at the test stick in shock as if I expected it to dissolve its positive result and I would laugh at my silly worry and go back on with life. The shock doesn’t go away quickly either. This pregnancy was such a surprise to me that at each stage of it, I couldn’t quite believe what was happening. I think it’s perfectly normal to be shocked, and it’s okay to admit that you are when you hadn’t been planning to be pregnant. About a second after I felt shock, the fear set in and shook my body. 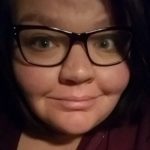 I was afraid to be pregnant, something I had never been before. I was afraid of making an adoption plan when I knew I needed to, that I wouldn’t be able to place my baby in someone else’s arms. I was absolutely terrified when I was diagnosed with preeclampsia, when they had trouble finding a fetal heart rate at 34 weeks, when I was taken into an emergency c-section within an hour of getting to a hospital with a NICU. While my unexpected pregnancy may have had some exceptional circumstances, I think fear is universal when facing any sort of new challenge, journey, or advantage. Getting pregnant doesn’t just affect one person. Because of that, I felt so ridiculously guilty. Guilt for the pressure I was putting on my significant other, guilt that I was feeling shocked and scared, and guilt that I had helped to create a life when I wasn’t ready to take care of said life. I tore myself up with guilt when at that point, choices had been made and consequences to be dealt with. It is only human to feel guilt toward an unexpected pregnancy, but you shouldn’t shoulder it if you can help to resolve it. This is an emotion that I feel terrible to admit. I was disappointed and angry at myself for not being more careful and getting pregnant. I was angry that my body was going to change and because of previous choices I had made, I had no control over that. Family members and friends were disappointed in me for my unexpected pregnancy and later adoption plan, and that was a hard thing to deal with as I generally aim to people please. But, it’s okay to admit that you may be disappointed or angry with your unexpected pregnancy. This feeling may take a while, but somewhere within it all, acceptance lies. For some people, they may even become happy with their unexpected pregnancy, excited to bring a new life into the world even if it wasn’t part of their previous plan. I accepted my pregnancy and adoption plan, and looking back, wish that I had accepted it sooner than I did and appreciated the things that pregnancy brings, like baby kicks. Even if you are not feeling this now, I promise you it will come at some point. I’m no expert at how one should feel or even an expert at unexpected pregnancies, but the feelings I felt during mine I can still identify with clearly to this day. It is important to remember that you are allowed to have feelings, even uncomfortable or unpopular ones, as they are part of the process to deciding how to go about your pregnancy and make huge decisions. While this may be a scary time in your life, don’t be afraid to process your feelings and to take your time deciding your next steps and how to proceed.